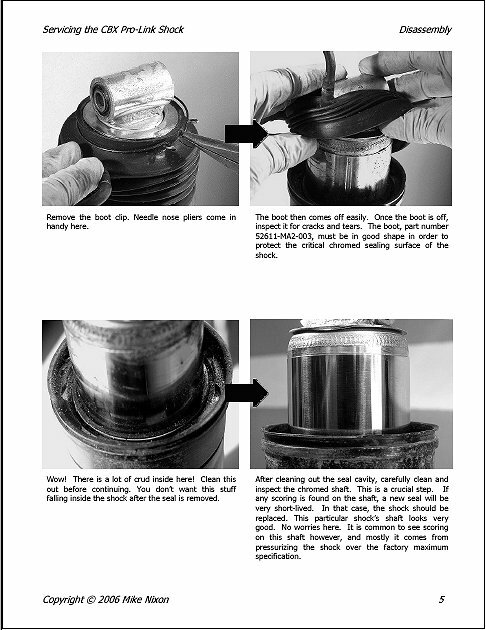 How to remove and replace the seal, where to get the hard-ro-find seal and the hydraulic fluid, best practices for disassembly and reassembly, and more. Neither the manual nor any of the many Internet sources address this job correctly. Get the booklet and gain the confidence to do this job and to do it right. As usual, this is an 8 1/2" by 11" booklet, running to not quite 20 pages, and contains over 60 clear illustrations, many of them close-ups. Go here for a "teaster" of what is in this booklet. Combined shipping on multiple purchases. Contact me for more information. 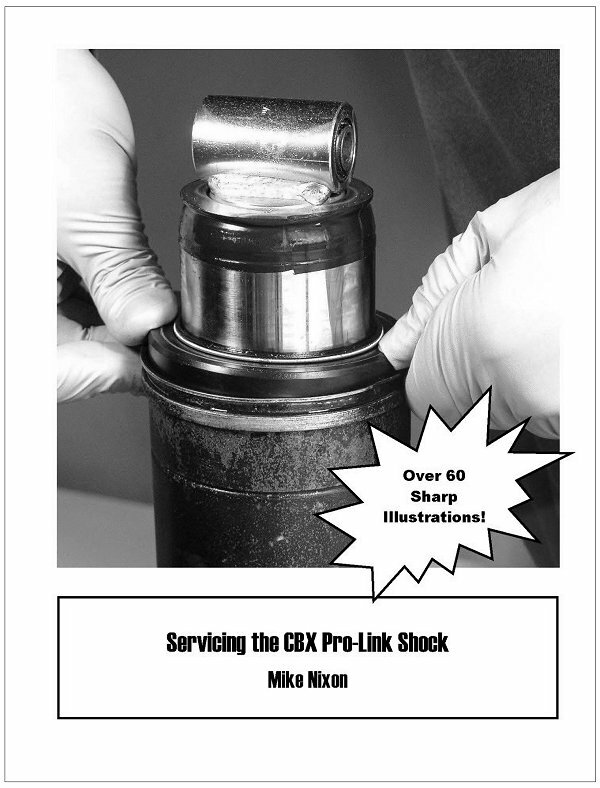 Here's a sample page, and here is a "white paper" on this shock design revealing little-known facts and explaining its strengths and limitations.